+ five = 14 Required Please enter the correct value. Activist Kenny Bruno thinks he has a plan to destroy Exxon Mobile Corp. (NYSE: XOM). 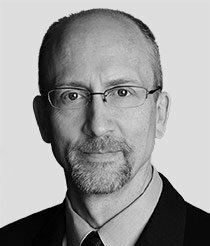 In a January 2016 meeting attended by fellow activists and heavyweight trial lawyers like Matt Pawa, who last year extracted a $236 million verdict from the oil giant, the veteran environmental crusader laid out his precisely crafted mission to starve the $365 billion company of resources, influence, and ultimately, any meaningful hope for profits. Millions of investors are understandably shaken and left wondering if they should bail under the circumstances. Many already have, judging from the fact that Exxon stock is down 15% from its June 2014 peak of $103.83. I can't think of a bigger mistake. The last time we saw this script it led to returns of at least 273% for savvy investors who followed along. The opportunity could be even bigger this time around. If climate crusaders have their way, Exxon will be put on trial for, quite literally, letting the world burn. A coalition of 17 (and counting) State Attorneys General is taking their vendetta back to the 1970s, challenging Exxon's knowledge of climate science and the impacts of burning fossil fuels. At stake is whether the company a) actually knows what it is talking about and b) is culpable. The same thing happened to big tobacco. In 1998, anti-smoking activists were convinced that the death knell for the industry had been sounded by the $206 billion that Phillip Morris, J.R. Reynolds, Brown & Williamson, and Lorillard would be forced to cough up under a settlement spearheaded by a group of trial lawyers and Attorneys General in 46 states. Forced to curtail and substantially change their advertising, the giant tobacco companies bled billions for more than 25 years and continue to do so today. For years I've been hard pressed to think of a more demonized industry. Until Bruno came along, big energy was just a recreational target for fringe activists with a proverbial axe to grind. But now the social meme has turned from merely one of casual dislike to pure hatred. Clearly the stakes are getting higher. As usual, though, there's a silver lining in all this, and it's one that not one in a million investors understands – but should. The data show very clearly that it pays to ally yourselves with companies under siege, not run from them, for reasons I'll explain in a minute. Let's return to Altria Group Inc. (NYSE: MO) for a minute. Philip Morris USA, the largest tobacco company in the United States, controlling half of the country's cigarette market share. U.S. Smokeless Tobacco Co., which manufactures and markets smokeless tobacco products. John Middleton, a leading manufacturer of machine-made large cigars and pipe tobacco. It was the poster child for public hatred and media vitriol. The headlines were absolutely terrible. You couldn't turn around without seeing something against smoking. Yet Altria didn't just survive bad publicity and multiple lawsuits – it thrived – and savvy shareholders who bought in as I suggested made bank. Activists, you see, rarely understand the concept of resiliency. What I mean by that is that they become so singularly focused on their agenda that they perpetually misjudge a company's will to survive. Sure, they get their show trials and, as part of that, big payments and reparations if they're lucky. But, ultimately, public shaming never works on anything other than a short-term basis. Demand simply shifts, the activists achieve a moment of glory, the lawyers make a ton of money, and profits continue to roll in. Big Tobacco, for example, ran head on into no-smoking zones and intense public scrutiny in the developed world where activists controlled the media and anti-smoking sentiment took off. For a while, executives acquiesced and played the unfortunate ones, much to public delight. Then, they did a quick pivot and headed straight to the Third World. I recommended Altria because I knew my history – social shaming ultimately fails, blame shifts to consumers, and demand continues unabated – and I believed that Altria's management knew how to court the investors who would make that possible. 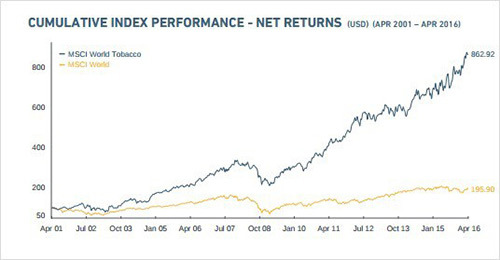 Altria has increased dividends every year since 1970 with only two exceptions in 2007 and 2008, respectively. That makes it a "must-have" for millions of income-starved investors at a time when they desperately want yield no matter how it's generated. The company has paid more than $1 billion in dividends in Q1 2016 alone, and plans to reward shareholders with a payout ratio target of 80% of adjusted diluted EPS. Factoring in double-digit earnings growth year over year, this works out to a dividend boost this year of around 8% at a time when the Fed is squabbling about 0.25%-0.5% and the 10-year treasury yield representing the so-called "risk-free rate" is stuck at 1.71%. No doubt you see the logic. My point is that activists can demonize a sector all they want but as long as the public has to have what they make or the income it produces, the profits will continue. Applying the same logic, Exxon is a logical buy. 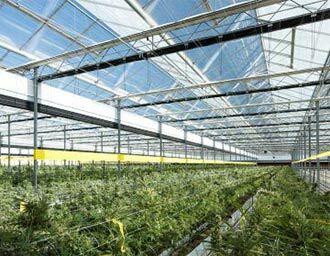 The company has a powerful investment base, is a Dividend Aristocrat – meaning it's been increasing dividends consecutively for more than 25 years – and makes a product the world has to have. That gives it a powerful investor base. In fact, XOM shareholders received yet another dividend hike at the end of April, up nearly 3% from the previous payout. 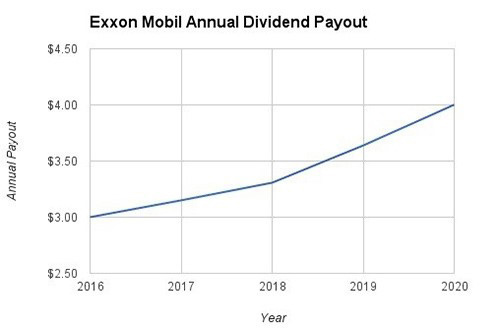 At this rate, Exxon investors can expect annual payouts of $4 per share within the next five years, according to Dividend.com. 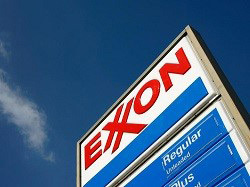 That translates into an effective yield of 4.4% for investors who take a far-sighted view on Exxon and make their move today while also representing a yield that's more than double that of the average S&P 500 company. Like Altria, Exxon is set up for growth. Exxon rolled out six acquisition and development projects in 2015 that together would bring in an extra 300,000 barrels of production per day – hardly the behavior of a company that's truly spooked by activists or even low oil prices. The way I see it, Bruno and his allies are going to create another version of Big Tobacco – not kill it. Consumption will triple in the undeveloped world even as ours drops. Social shaming will shift to social blaming even as the profits mount. Which is why I'm counting on chaos in the energy sector. Editor's Note: Keith knew Altria was positioned to dramatically beat markets because the company was backed by an "Unstoppable Trend" – one of six forces so powerful, nothing can stop them from turning profits for investors who realize how to tap into them. 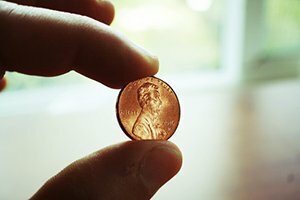 Now Keith has identified another pick to not only survive political and legal chaos, but thrive from it – to the tune of 420% gains by his calculations. To view the full report on this company poised to take off from record political spending in 2016, click here to sign up for Total Wealth – it's free! Bruno will fail simply because so called man-made Climate Change is a lie and a fraud. What he may cause is the final demise of this climate change nonsense because it will be exposed for what it really is – a monumental fraud. Man cannot cause climate change. Carbon dioxide does not cause warming. So far we have not had any warming for 19 years. If this lawsuit is big enough the whole world will finally learn that we have been led astray by the real culprits Algore and fellow travelers. How come the Arctic still has ice? And the seas have not risen? And all the projections by the alarmists and their computers have not come to pass? Does anyone realize how much 2% of 400 parts per million really is?